QB opens to hole side looking as if he is going to pitch to RB. 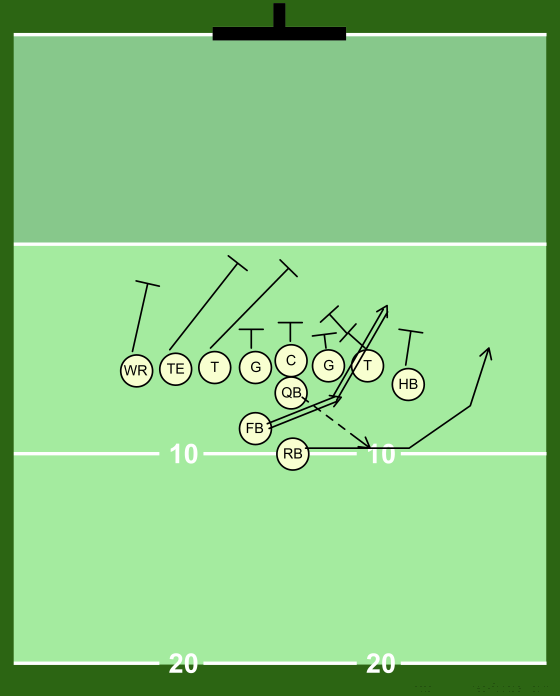 He holds ball out at end of fake pitch, FB takes handoff into the 4 hole. Wing and playside OT ignore DE. Wing swings outside to pickup OLB, OT scrapes DT, then slides off to get MLB. I'll take a FB against a S all day long! Submitted by: Gene Essman, Jr.